My interview with the guys from Expanded Perspectives is now available. We discussed all manner of things but the bulk of the time was devoted to black panthers and wood apes. I think it went well. You can hear the interview by visiting www.expandedperspectives.com or by downloading the podcast from the iTunes store. 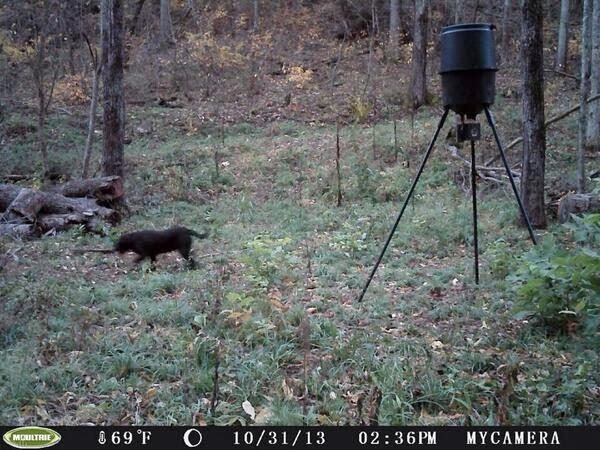 Does A Wolf Stalk West Bell County? 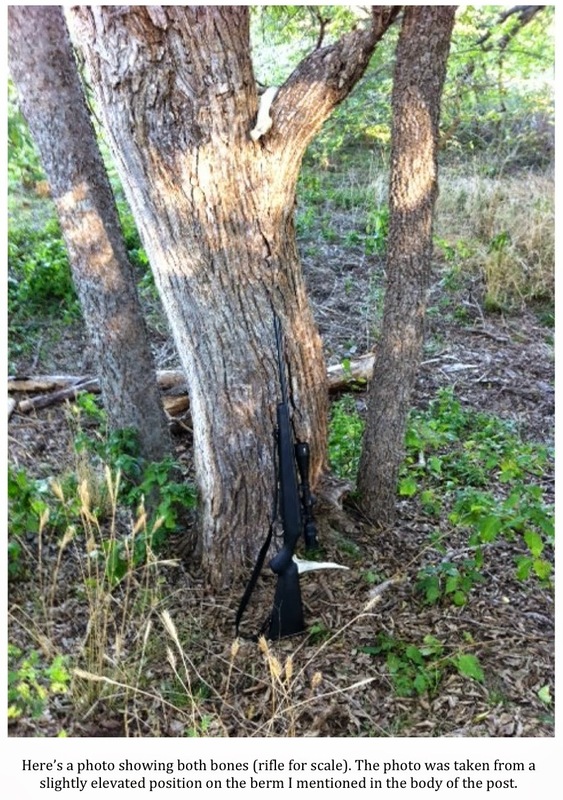 I received an interesting text message last week from a friend who lives out West of Killeen, TX. She and her family own a large piece of property outside of town where, on occasion, some odd things happen. 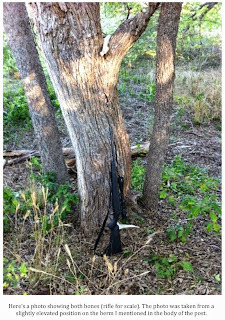 This is the piece of property where I had game cameras up for several months after the media reported a “mystery predator” killing goats in the immediate vicinity. My investigation of the property yielded no evidence of anything other than coyotes and a gray fox. That being said, I felt that the possibility of a large cat coming through the area from time to time was real. The patriarch of the family has claimed a sighting of a large cat from time to time but he has reported seeing wolves much more often. As you might imagine, I figured that he had likely seen a large coyotes and not a wolves. Red wolves and coyotes are colored very similarly and it is very plausible that someone could make that mistake. This gentleman, however, was adamant that he knew what a coyote looked like and this was no coyote. He went on to say that my argument didn’t apply anyway since what he saw looked like a gray or timber wolf (Canis lupus). Gray wolves are huge animals with the males averaging right at 100 lbs. with larger individuals not uncommon. 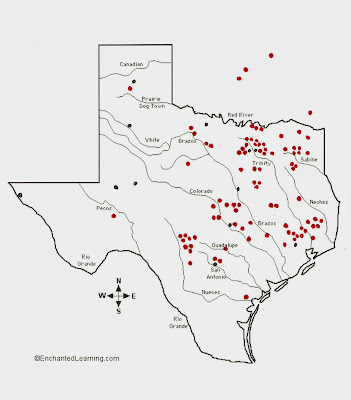 They once ranged all over the North American continent and did live in Texas. 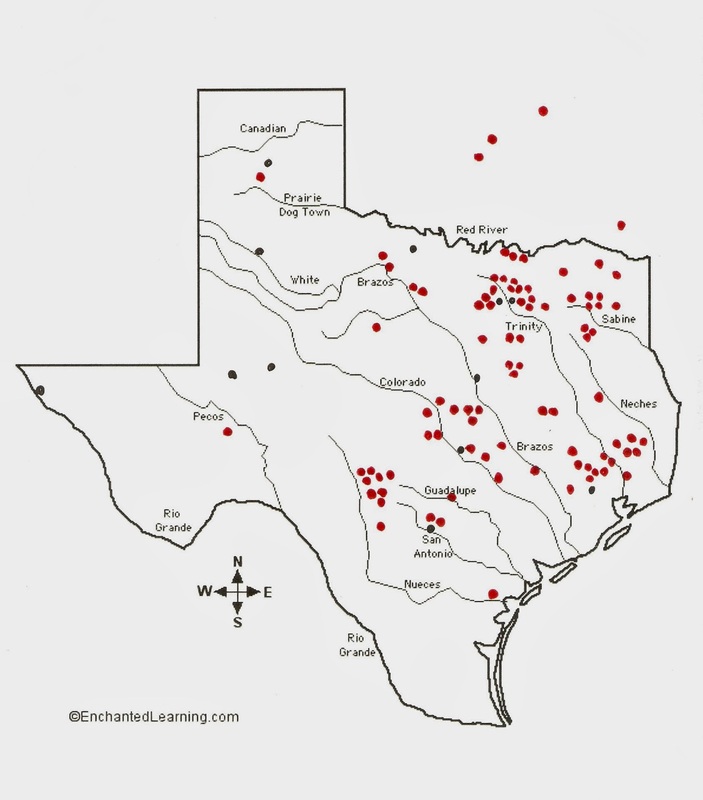 Though never as common as the Red Wolf (Canis rufus), they were not that unusual a sight in the early days of Texas. While it is nearly universally accepted that gray wolves have been extirpated from the state, reports of sightings do continue to trickle in from time to time. Many in Southeast Texas feel that a small group of gray wolves continue to hang on in the Big Thicket National Preserve. 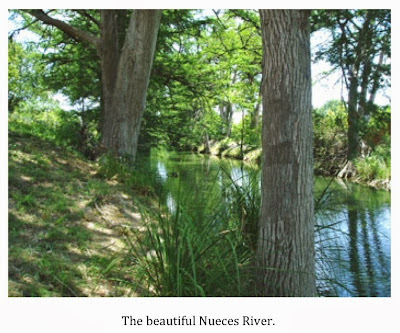 None other than Geraldine Watson, often referred to as the guardian angel of the Big Thicket, claims to have seen them in the region. However, seeing one in Central Texas would be huge news. Many would say it is impossible. However, recent reports indicate that animals roam longer and farther than most would ever suspect (For example, a 104 lb. gray wolf was killed in Missouri in 2009). Could a literal “lone wolf” have made its way here? 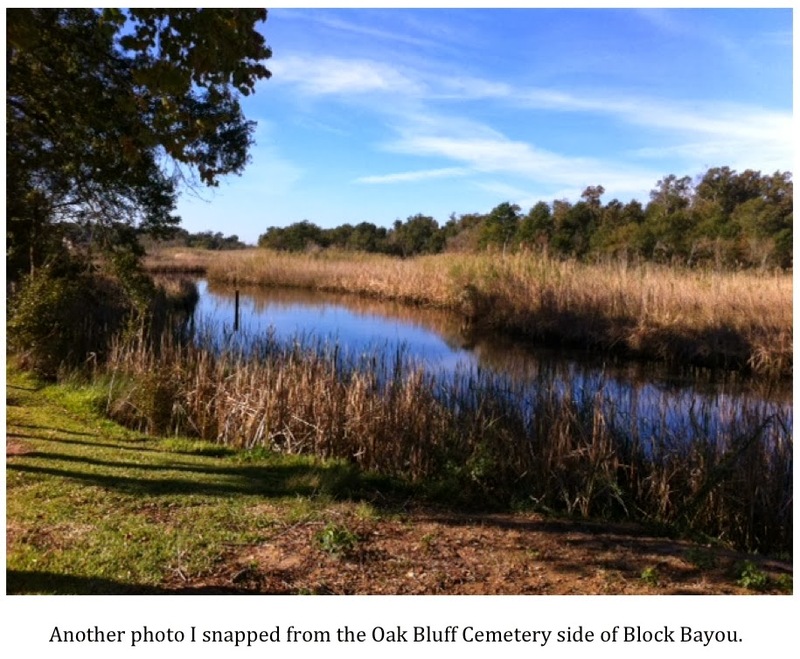 About two years have now passed since I first visited this property and while some odd sounds have been heard on the property and a couple of interesting, but blurry, game camera photos obtained, nothing of real note has been captured. That might have changed last week, at least to a degree. My friend has taken to routinely driving the property around dusk in the hopes that she might spot something unusual. 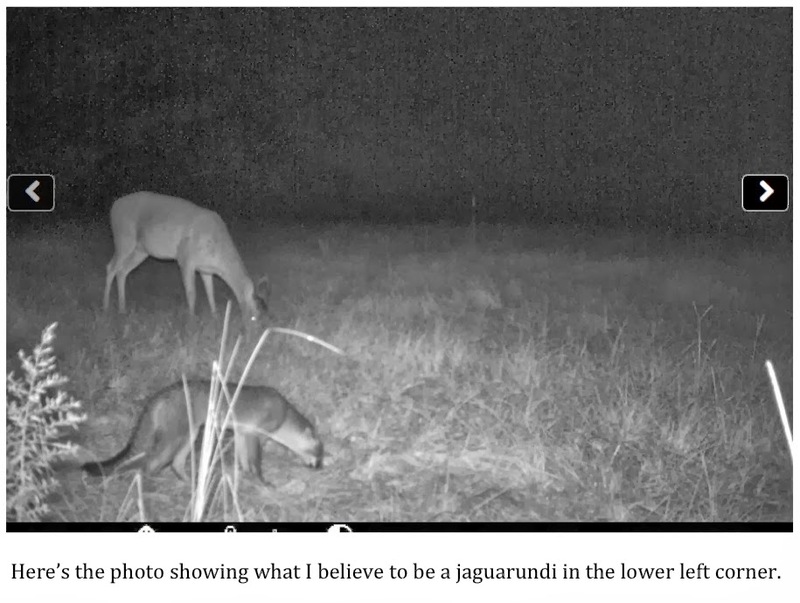 Last week her efforts were rewarded when she captured what looks like a very large canid of some sort in hot pursuit of some cottontail rabbits on video. 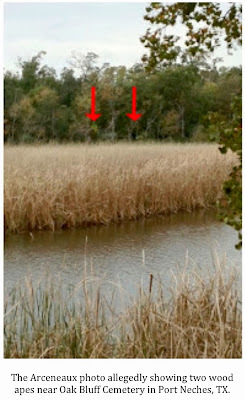 She used her cell phone to capture the footage and it is a bit hard to make out but something is there. 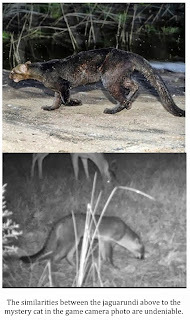 The animal, whatever it is, can clearly be seen in the still shot taken from the footage. The animal is large and dark, if not totally black. My friend said that she clearly saw a thick, bushy tail that was pointed out or slightly up as the animal ran across her field of vision. This is an important detail. First, the physical description of the tale being “thick and bushy” totally eliminates the possibility of this animal being anything but some sort of canid. The observation of the tale sticking straight out, if not slightly up is also important. Wolves trot and run with their tails pointed straight out behind them while coyotes locomote with their tails pointed downward. It is enough to make you wonder a bit. I asked her to return to the site where the animal was spotted and measure the distance from the outside of the tire rut on the left to the outside of the tire rut on the right. 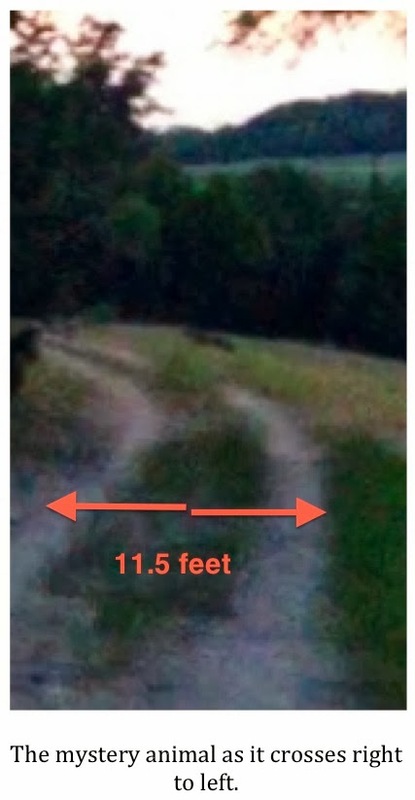 She reported that the measurement averaged about 11’ 6” at different points in the “road.” Looking at the still taken from the footage you can see that the animal in the frame is quite large. It is not in a perfect spot to get a truly accurate size comparison (isn’t that always the case?) as the rutted road bends back to the left at the exact spot where the animal was crossing. Still, you can clearly see that this was a large animal. 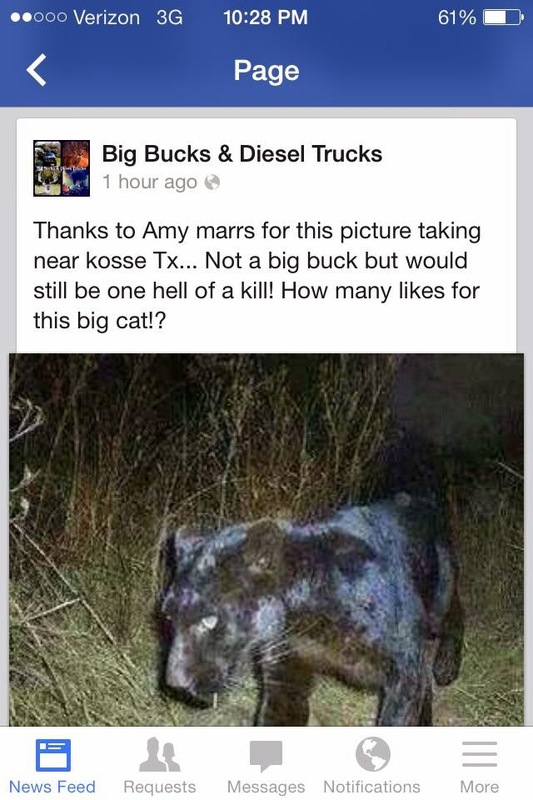 To my eye, and take this with a grain of salt, the animal looks like it could easily be 5’ in length nose to tail. If so, this is no coyote. So, what is roaming this property? 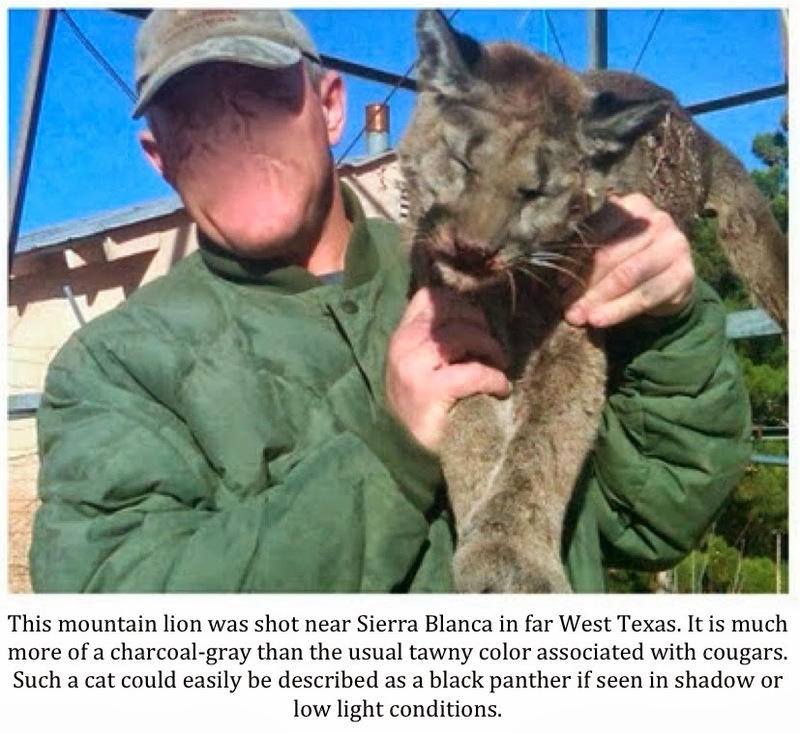 I suppose there are several explanations that might be more likely than the idea that a gray wolf has found its way to Central Texas. The first that comes to mind, and the most likely to be true, is that this is some sort of large domestic dog that has gone feral or that lives somewhere nearby and is allowed to run free. 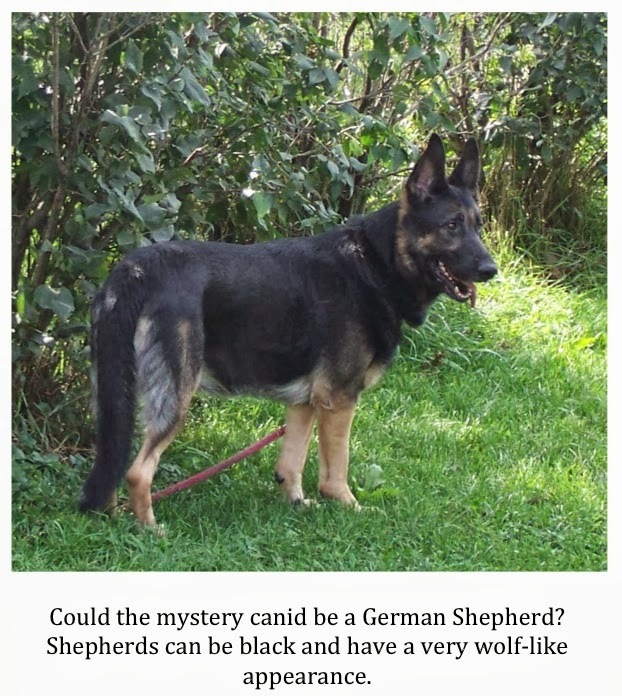 The description given of the animal is not unlike that of a German Shepherd. German Shepherds can be totally black in color as well. What I don’t know is how they hold their tails when they trot or run. Some will continue to think that a big coyote is shown in the video. I can’t go with that based on the size and color. 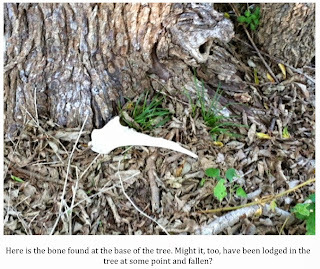 Those that live on the property, though, continue to think they have something unusual that comes through from time to time. They hear howling, they find tracks, and now they have video, grainy though it may be. Certainly, the video isn’t clear enough to tell us anything for sure other than a large, dark animal of some kind is, or has been, on the property, but could it really be a wolf? 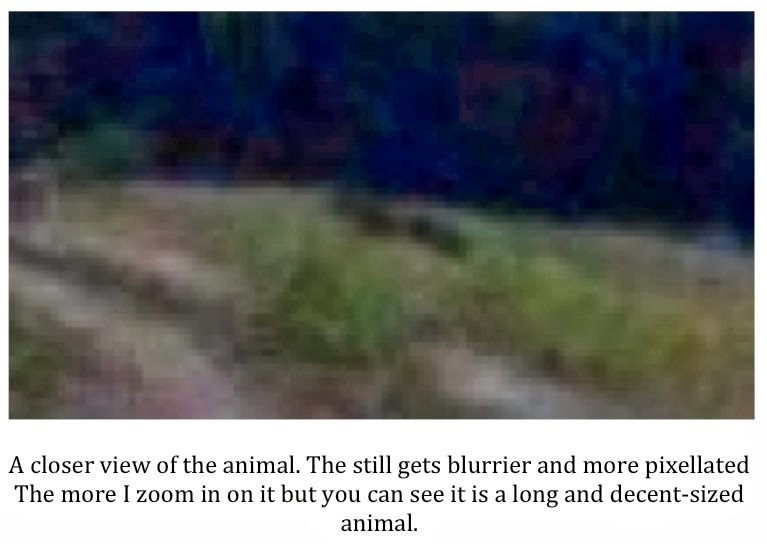 The animal in the video is probably a large dog… probably. My friend has a game camera out and is hopeful of eventually capturing a photo that proves once and for all the identity of this animal. To this point, however, this unidentified canid remains every bit as elusive as some of the other cryptids I pursue. Sooner or later, we are going to get that photo. I received a good email this week from a reader who asked me a great question. To summarize, the question was basically whether or not any of my theories regarding wood apes (sasquatches) have changed in the years since I began researching the topic seriously. The answer is yes. Once I thought about it a bit, I was surprised at just how much my views have changed regarding certain aspects of the bigfoot phenomenon and some of the more widely accepted “facts” regarding this legendary creature. I will outline some of the changes in my beliefs below. Popular Theory: Wood apes are solitary animals along the lines of orangutans. 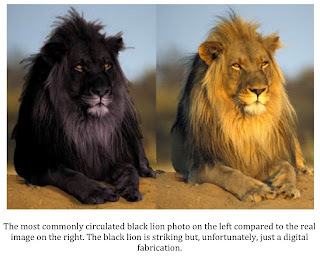 I used to buy into this theory as most sightings are of individual animals. My experiences, and those of my fellow NAWAC members, over the course of Operations Endurance and Persistence have convinced me otherwise. On numerous occasions we have found ourselves the target of thrown rocks that were being lobbed in from different directions by, admittedly, unseen throwers. 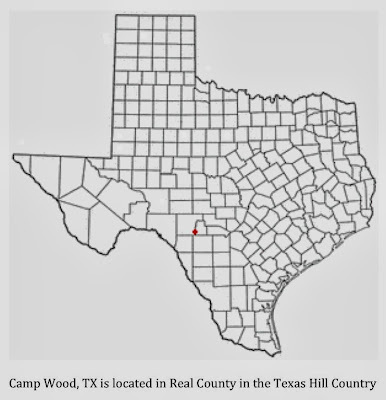 We’ve also noted wood knocks, clicks, pops, and even whistles emanating from the woods surrounding our camps, seemingly, in answer to one another. 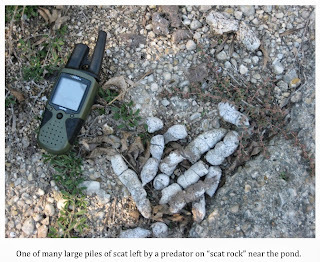 If wood apes are the culprits behind these rock throws, knocks, and vocalizations, and I firmly believe they are, then these animals are not living a solitary life. They are living in troupes or family units. How many in a troupe? 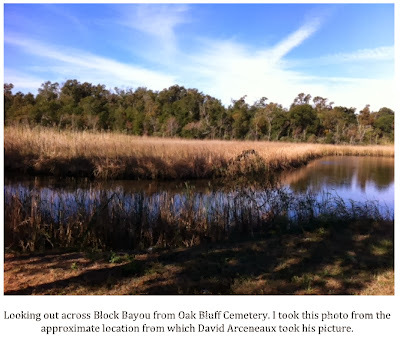 I’m sure it varies but I feel pretty comfortable in saying that we have documented activity from up to six individuals within seconds of each other in Area X. I would guess there are others that have remained unheard and unseen. Can I prove it? Not yet, but I firmly believe this to be the case. Wood apes may spread out to forage and hunt but they never seem to be far from each other. This is a big change from what I thought about them just 5-6 years ago. Popular Theory: Habituation scenarios are a bunch of…well, you know. My experience, and those of my fellow NAWAC members, indicates that these animals are not the solitary nomads most believe them to be. 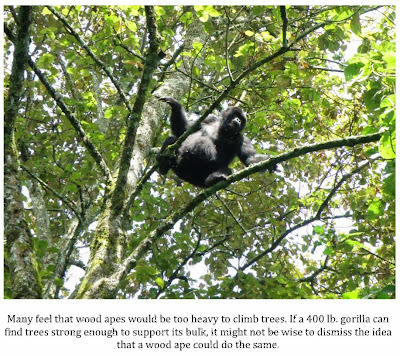 What we’ve observed may not necessarily apply to all wood apes everywhere but our experiences indicate that the apes in our main area of study aren’t going anywhere. They may move within a home range (how big that might be is subject to debate) but do seem to have a core home area to which they always return. Why? I don’t know. Maybe it is to mate, maybe it is a nursery where they give birth and raise infants, or maybe it is because this particular group of wood apes is boxed in by human settlements or even other ape troupes. Whatever the reason, the apes we are studying do not leave. Since this is the case with the apes in our area of study, I can no longer merely dismiss the possibility of other apes in other locales behaving in the same way. This makes habituation scenarios possible. I still believe that many reported habituation reports are nonsense (the Mary Green claims, for example) but no longer can I just summarily dismiss reports of habituation without first taking at closer look at the claims. 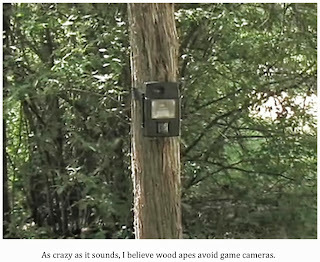 Popular Theory: Wood apes avoid game cameras. I know, I know. Believe me I realize how ludicrous this sounds on the surface but there is something to this claim. 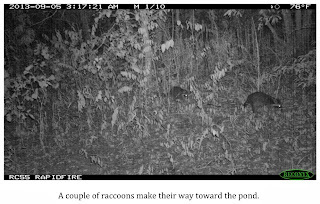 The NAWAC, dating back to its old TBRC days, has invested upwards of $50,000 on top of the line game cameras over the last decade. We have absolutely nothing to show for it. I always assumed we just didn’t have enough cameras to adequately cover an area and left it at that. Over the last years, however, two events have changed my mind. First, the NAWAC invested approximately $6,000 on a surveillance system that utilizes infrared technology and placed it on a structure in our main area of study. What we discovered was that ape activity remained steady when the surveillance system was turned off and came almost to a complete standstill when it was turned on. Theories as to why are debated intensely within our group but there is little doubt among most of our members that the surveillance system seems to “turn off” the apes. This is driven home by the fact that some Operation Persistence teams, exhausted by a week in the bush with little to no sleep due to the continuous bombardment of the camp by rocks, would turn on the surveillance system so that they could sleep unmolested. 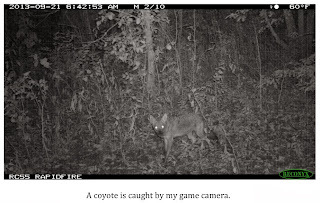 Most game cameras these days use a combination of infrared and motion sensing technologies just like the surveillance system. Whatever it is that bothers the apes may be present within these cameras as well. Possibly, it is simply the apes have seen us put the cameras out and associate them with humans and, so, avoid them. Other animals do this. See the NAWAC article Cryptid Caution Concerning Cameras, for one such example. Some members felt the cameras must emit some sort of low-level frequency that the human ear is unable to detect but the apes can hear. The group had a study done by a bioacoustics lab that seems to quash this theory. 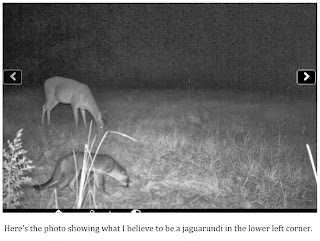 You can read the results of the test in the article Testing of Game Cameras for Sound Emissions. 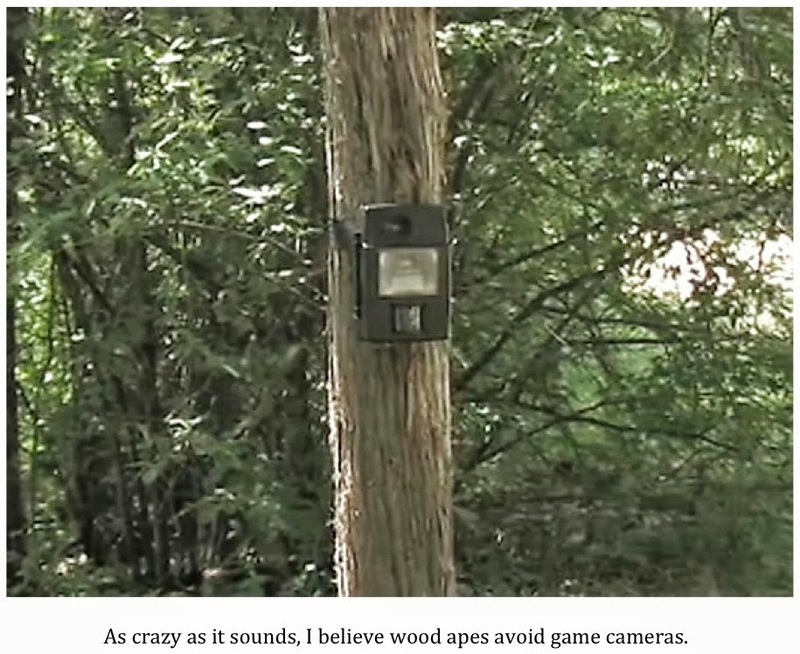 To summarize, I don’t know why apes avoid these cameras but the anecdotal evidence seems to indicate that they do. In no way do I think these creatures understand what a camera is or what they do. Despite this, they seem to treat them like the plague. I realize skeptics will have a field day with this. I understand. I was once one of them. Simply, it is what it is. Popular Theory: Apes use wood knocking to communicate. I was very dubious about the wood knocking phenomenon for a long time. 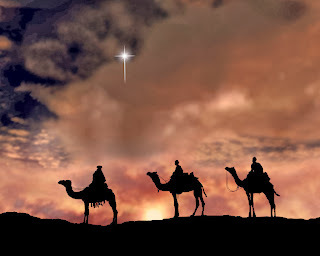 I had never heard a wood knock, nobody had ever observed an ape beating on a tree with a stick, and, honestly, some of the folks pushing the idea of wood knocking were not people whom I considered credible. I came around soon enough, however, once I seriously got into wood ape research. 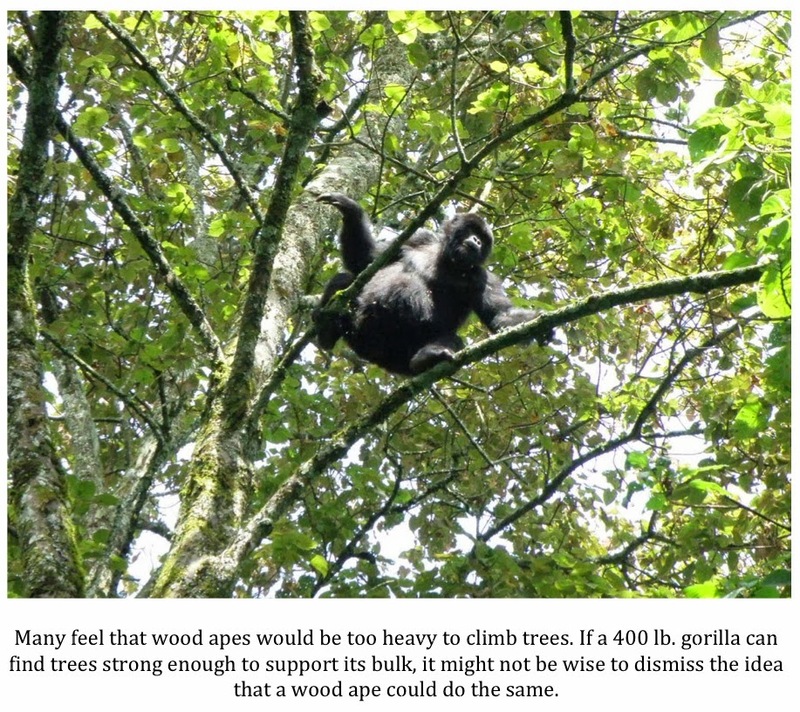 The NAWAC’s main area of study has proven to be a priceless learning ground and it proved itself again when it came to clearing up the question of whether or not apes use wood knocking to communicate. I have heard knocks, some very loud and close, that are clearly wood on wood. They were often answered by other knocks coming from different locations. Often, NAWAC members hear clear wood knocks upon entering the study area. It is as if there is someone, or something, acting as a sentinel, a watchman, if you will, watching the road in whose job it is to alert other apes when someone arrives. 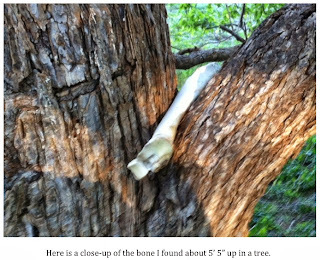 I can’t say for sure that wood apes are behind the knocks, as I’ve never seen one engaged in the activity; however, I have seen an ape in this area and have been there when knocks were heard, seemingly, in response to some sort of movement or activity on our part. 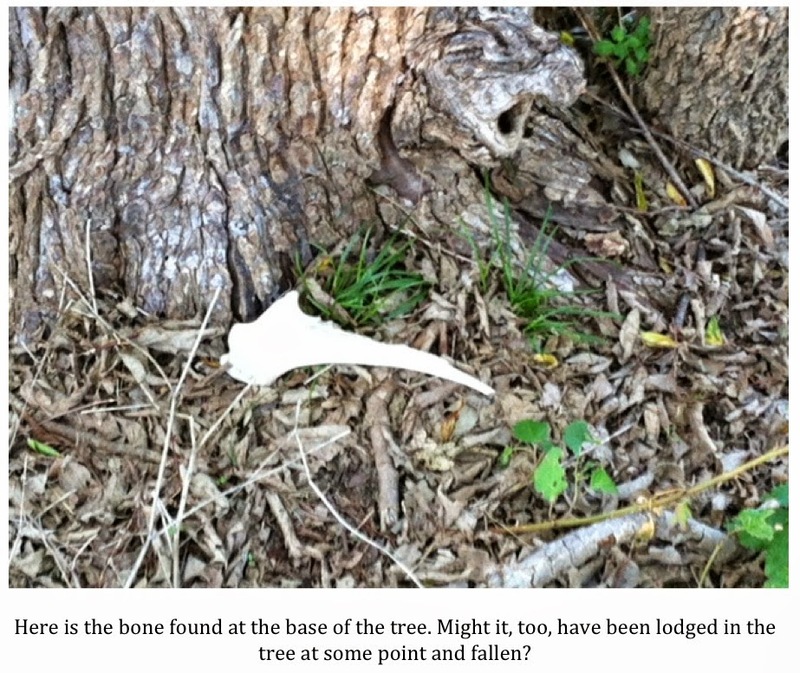 The evidence, as circumstantial as it may be, points to wood apes being the culprits behind wood knocking. The bottom line is something with hands has to be behind wood knocking. There is no known animal in the woods of North America capable of producing these sounds. What does that leave? Popular Theory: The Sierra Sounds were hoaxed. The first time I heard the Sierra Sounds recordings I laughed out loud. It was simply the most ridiculous thing I had ever heard. The Sierra Sounds are a series of audio recordings allegedly captured in the Stanislaus National Forest by Ron Moorehead and Al Berry in the early 1970’s. 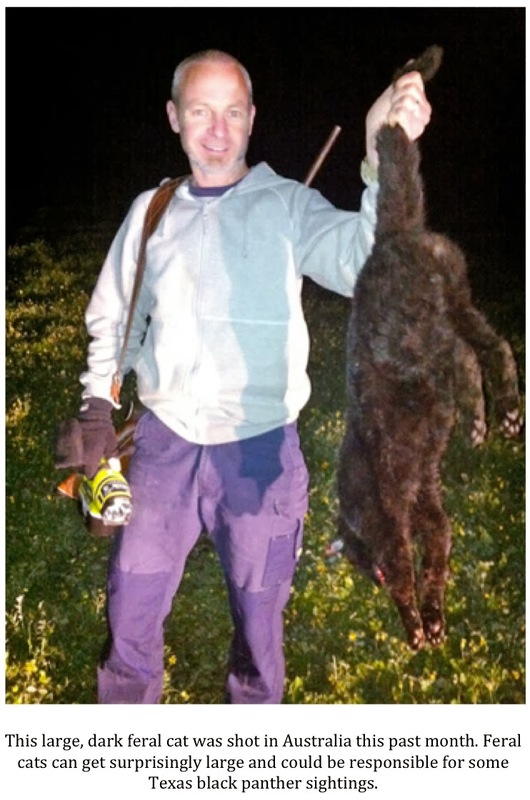 Moorehead and Berry claimed they had captured audio of a troupe of sasquatches vocalizing. The recordings ranged from relatively tame whoops to the infamous Samurai-like chatter that has so often been ridiculed by skeptics. My tune changed a bit when I visited with a witness who claimed to have seen a wood ape in the Big Thicket National Preserve several years ago. 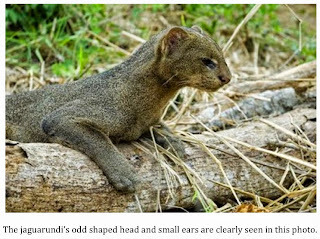 He also claimed to have heard the creature vocalize in a way that reminded him of a badly dubbed Kung Fu movie. He was credible and convincing. Later, the NAWAC captured strange chattering during Operation Endurance in the summer of 2012. The chattering sounds are eerily similar to some of the Sierra Sounds recordings. I stop short of saying the Sierra Sounds recorded back in the early 1970’s are real. I simply don’t know. What I can tell you is that I no longer blow them off as an obvious hoax. I’ve heard things too similar to say that now. 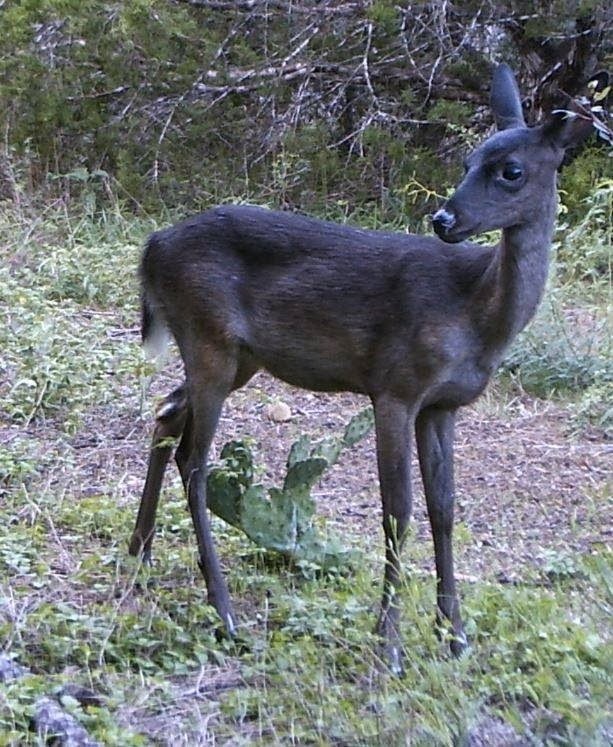 Popular Theory: Wood apes are almost totally nocturnal. This theory seemed to make sense to me. It would help explain why these huge creatures were not seen more often. Certainly, hunting and moving about at night would lower the odds of their being seen by humans. 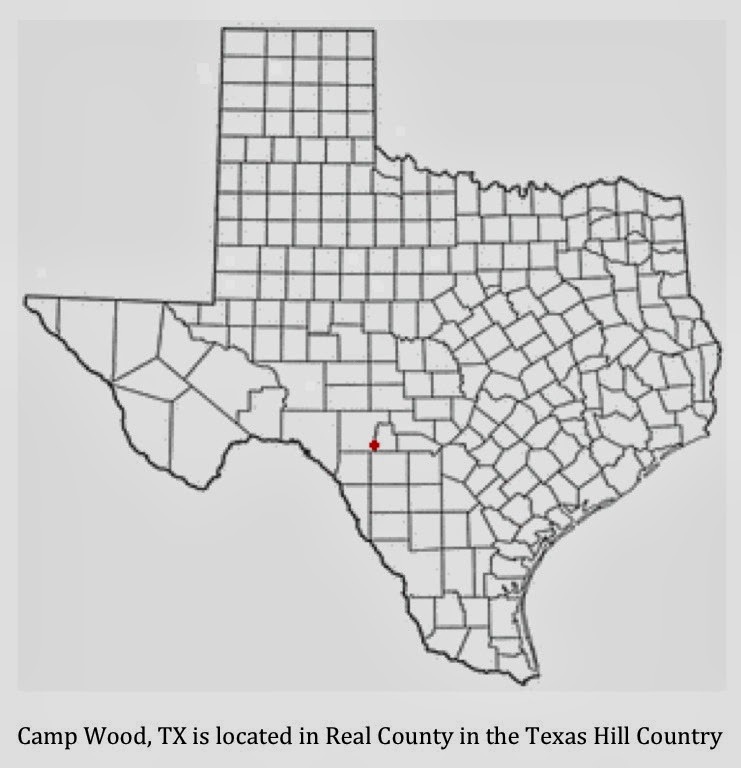 Later, this idea was validated in my mind when I witnessed a wood ape in the middle of a forest service road in the Sam Houston National Forest in May of 2005… at 3:15 a.m. What I have found in the years since is that this is simply not true. 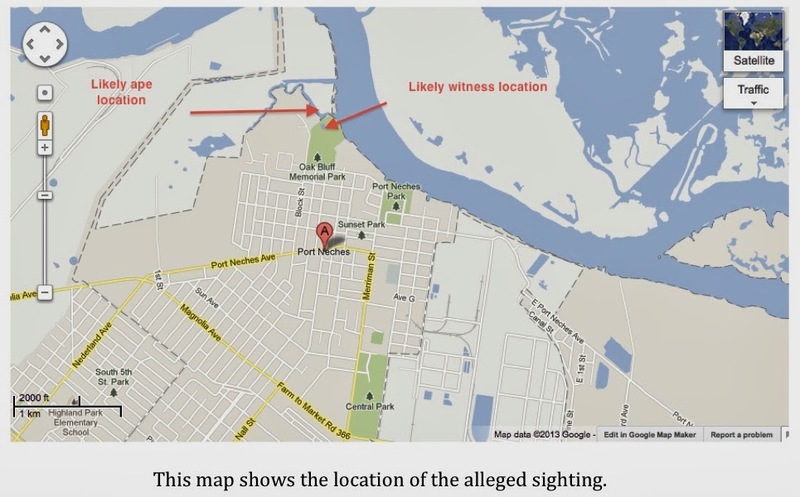 I’ve talked to dozens and dozens of witnesses and the accounts are equally split between daytime and nighttime sightings. The NAWAC has documented literally hundreds of events and more than a dozen visuals over the last two years in our main area of study. What is clear is that the apes are every bit as active during the day as they are at night. 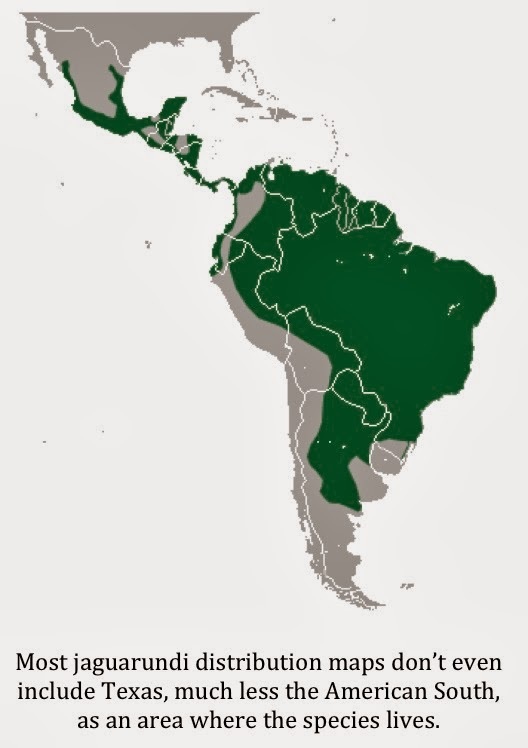 Again, it is possible that troupes of apes in other locales may have different habits but based on what I know, wood apes are not strictly, or even mainly, nocturnal. 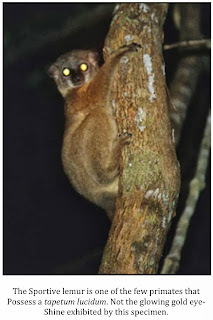 Popular Theory: Wood apes have eyes that glow at night. 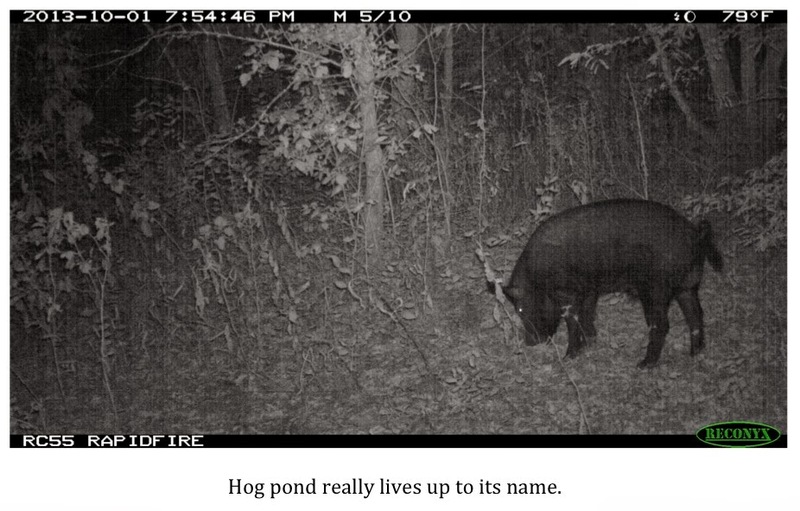 I always assumed researchers who reported eyeshine had misidentified some other known animal. Eyeshine is dependent on the presence of a thin layer of tissue directly behind the retina called the tepetum lucidum. The tapetum lucidem reflects visible light back through the retina, which increases the amount of light available to be picked up by the photoreceptors in the eye. This greatly improves night vision. This process also creates the eyeshine effect with which most are familiar. Very few primates have a tapetum lucidum; humans do not and neither do any of the known great apes. The only primates that I’m aware of that have a tapetum lucidum are some of the prosimians, the Sportive lemur, for example. 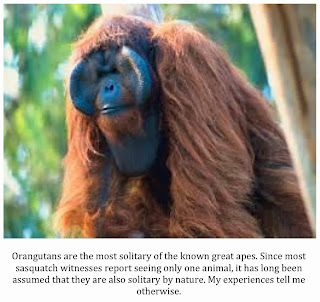 This being the case, and believing the sasquatch to be an undocumented great ape, I felt that the eyeshine so commonly reported had to be a simple case of misidentification (folks believing sasquatches are primitive humans would still have been in agreement with me since humans do not possess this feature either). Observations over the last few years have changed my opinion on this. The eyes of the wood ape are, seemingly, quite large and produce a very bright eyeshine. This phenomenon has been observed by NAWAC members time and time again. The colors of the eyeshine reported have ranged from orange, yellow-gold, red, to green. The varying colors reported don’t bother me much as eyeshine color often depends on the angle at which it is being viewed. It would appear that the wood ape does have a tapetum lucidum. This would seem to fly in the face of my assertion earlier than these animals are not nocturnal. Again, it is what it is. I still do not believe that the eyes of a wood ape glow without a source of external light. That would be unprecedented in the animal kingdom. Having said that, it doesn’t seem to take much light for these animals’ eyes to light up very brightly. The apes seem to be aware of their own eyeshine to some degree as well. Often, they are spotted observing our camps at night and once they realize we are looking back directly at them, they will duck their head as if to eliminate the beacon that is their eyes. It is really quite amazing. 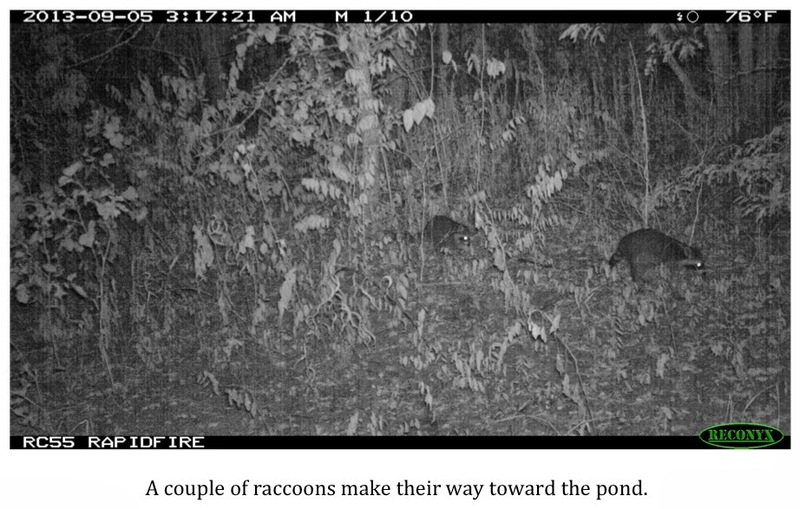 Maybe they are just hunkering down in general in an attempt to avoid detection but it sure seems that they are aware that their eyes give them away. So, yes, wood apes do exhibit very bright eyeshine. I like to think that my opinions on these animals and their behavior and characteristics haven’t changed as much as they have evolved. I hope this is the sign of an open mind that simply goes where the evidence leads. The evidence has led me to some pretty improbable conclusions; however, I do think it is important to differentiate between what is improbable and what is impossible. I guess you could say that about the very existence of these creatures; it is improbable. That is inarguable. But is their existence impossible? No, not at all. I have no desire to try to get anyone to “come around” to my point of view. I just wanted to point out some of the ways that actually researching, being a member of a credible group full of other researchers, and direct observations have caused me to give second thoughts to many aspects of this mystery and let you know what my point of view is on some of these theories.